Groetjes uit Nederland! Greetings from the Netherlands! At the moment I am spending my spring semester studying at the InHolland University of Applied Sciences in Alkmaar, the Netherlands. The spring has already sprung here. The tulip season has started, and the trees are getting greener fast. Time is also flying at the University where we have to do, or have a chance to do, school projects. 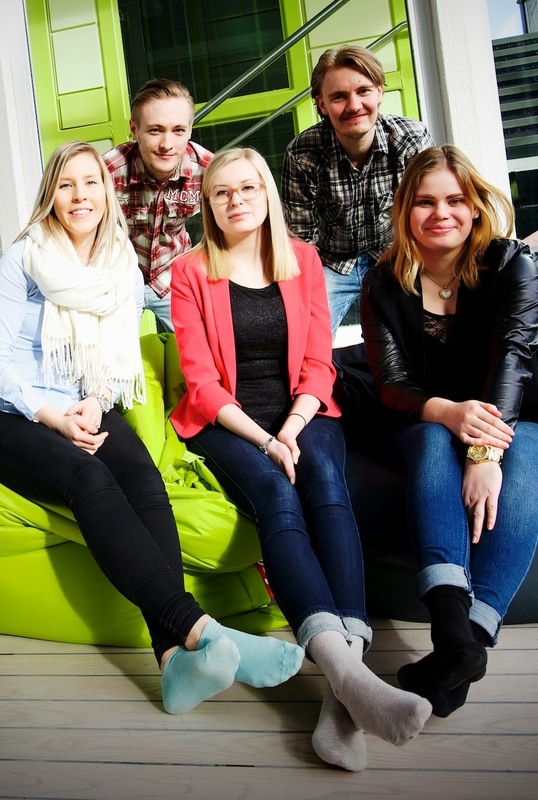 Generally, the school doesn’t have actual real-life companies for the projects like we have in Finland, so the projects are mostly based on role-play. However, in this period we started a new project which was assigned by a real company called Rondje Regio. Rondje Regio is a Dutch tourism company which arranges trips and events for groups and companies. Now the company is launching a new product to the market, the amfibike. The amfibike is a combination of a bicycle and a boat. It has pedals, and it can go both on land and on water. Rondje Regio has found the legislation in the Netherlands to be too restrictive, and that’s why the company wants to present the amfibike in international markets. Now the company has asked us students to study the markets in five different countries, and based on the study we have to make an export plan for the company. One part of the project is to interview someone who is from or has a very close connection to one of the countries. Our project group’s countries are Austria, Switzerland, Germany, Hungary and Poland. The project ends in May and we’re excited to hear what the company thinks about our research. - I don't think I have ever done a school project for a real-life company, this is the first time. We have had some projects where we had to contact a company, but they were not our commissioners. In general, I think the role play projects are very boring. Some are interesting because of the subject, but they are fake in many ways, says Allard Jansen from my project group. There are ten exchange students from Europe in Alkmaar: two from Latvia, two from Spain, two from France and four from Finland. We were divided into four classes with Dutch students. We, the exchange students, have been taken in quite nicely. Although Dutch people speak very good English, many of the students seem to stress a little about speaking only in English. - One of my weaknesses is my English language. We are “forced” to speak English. It’s hard for me, because of my bad English. Sometimes I have noticed that I am a little bit quiet. If I want to say something and I can’t find the words in English, I quickly give up. Although with every conversation I have, I keep learning. So it’s good training for me, Allard says. This project has been a new way for the students to learn about business life and also for the company to get to know some possible future employees. The project will end at the end of May, and we can’t wait to see and hear how the company feels about the results of our project.